Photo credit to Claire D. Falgui. The Mid-Ocean School of Media Arts (MOSMA), Manitoba’s sole audio production school, celebrates their 20th anniversary in 2015. Beginning in 1995 as a partnership between Doug Blakely and Carlos Vela, MOSMA offers lectures, mentorships, and workshops for individuals interested in developing skills in audio production. The idea of the audio school had humble beginnings with the Mid-Ocean Recording Studio offering evening courses for multi-track recordings developed by audio professional Doug Blakely. When Mid-Ocean Recording Studio ceased operations as a studio in 1994, Blakely teamed up with assistant engineer and teaching assistant Carlos Vela to develop the programs and curriculum for MOSMA. “Both Doug and I saw the importance to continue training in this field,” explained Carlos Vela, MOSMA director and head instructor. The school’s mandate is focused on teaching the fundamentals of audio production. As Manitoba’s only audio production institute, the school offers both full-time and part-time courses to its students. These programs include learning multi-track recording – techniques for mixing and editing audio. The facilities also offer programs such as “Music with Reason,” which is an evening program that teaches students basic music elements, such as rhythm and harmony, as well as the fundamentals of the digital audio software program Reason. Since the initial collaboration by Blakely and Vela, the school has doubled in staff and in the size of its facility. With this growth, MOSMA’s training facilities encompass three production rooms: Studio A, Blakely Studio, and Studio C. All three rooms include industry standard equipment to provide a real-world environment for their students. “An element of this growth comes from the experience and contribution from a strong faculty and their dedication to continuously improve our curriculum,” said Vela. 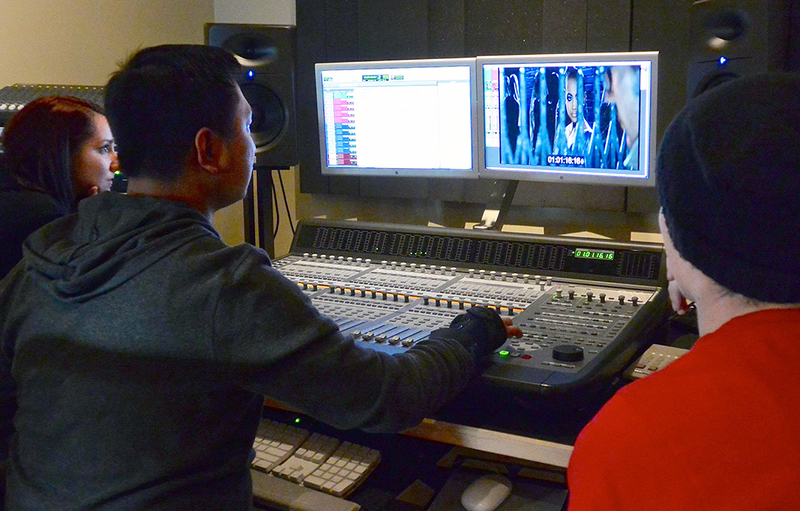 Since the school’s inception, several local artists and musicians have utilized its facilities to teach students important skills in audio production. Artists such as Canadian singer-songwriter Greg MacPherson, funk band Moses Mayes, and jazz musician Steve Kirby have all come through the institute. With these interactions, MOSMA offers their students useful connections to build relationships with the local music and arts community. Looking further along into 2015, MOSMA is hoping to expand training and exposure to their “Sound for Film” audio production. “As we did with music production, building a stronger relationship with our local film industry would allow us to offer our students more skill and opportunities as engineers,” said Vela. For the foreseeable future, Vela is content with what MOSMA has accomplished for the greater Winnipeg community. “We celebrate 20 years of our success with our faculty, our students, our graduates, and the community that has supported us,” he said.